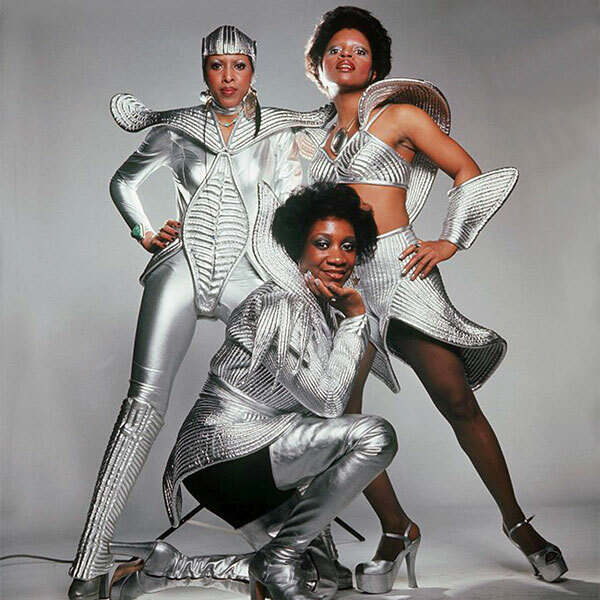 The female trio responsible for the proto-disco funk classic "Lady Marmalade," Labelle's outlandish space-age costumes and brash incorporation of rock & roll were a far cry from their early days as a typical '60s girl group, not to mention the later solo career of frontwoman Patti LaBelle. While Patti naturally seems like the focal point in hindsight, the group was also blessed with a talented and prolific songwriter in Nona Hendryx, who followed an idiosyncratic muse into her own mercurial solo career, which often bordered on the avant-garde. The group's first incarnation was that of a quartet. Friends Patricia Holt and Cindy Birdsong had been singing together in a Philadelphia group called the Ordettes, and in 1962 they teamed up with Wynona "Nona" Hendryx and Sarah Dash, both members of a rival outfit called the Del Capris. At the suggestion of producer Bobby Martin, Holt changed her last name to LaBelle to match with the group's official name, the BlueBelles. Strangely enough, Patti LaBelle & the BlueBelles may not have even performed on their first hit; a group called the Starlets cut a single called "I Sold My Heart to the Junkman," which was released with the name the Blue-Belles on the label. Some accounts hold that the Starlets actually backed LaBelle, or that her vocal was overlaid, while others suggest that the lead voice wasn't LaBelle's at all. Whatever the case, "I Sold My Heart to the Junkman" became a Top 20 R&B and pop hit in 1962, and the BlueBelles started touring the R&B circuit behind it. Their next hit came in 1963 with the dramatic ballad "Down the Aisle," another R&B Top 20, and they hit the Top 40 again in 1964 with renditions of Rodgers & Hammerstein's "You'll Never Walk Alone" and the Irish standard "Danny Boy," solidifying their penchant for sentimental, classic-style pop. In 1965, the BlueBelles signed with major label Atlantic, and had some success with a version of "Somewhere Over the Rainbow," which remained in Patti LaBelle's concert repertoire for decades. Despite cutting an early version of "Groovy Kind of Love" (later a number one hit for the Mindbenders, not to mention Phil Collins), though, the BlueBelles' tenure wasn't as commercially productive as hoped. Cindy Birdsong left in 1967 to replace Florence Ballard in the Supremes, permanently reducing the group to a trio. With no real hits forthcoming, Atlantic wound up dropping them in 1969. In search of a makeover, they hired former British television producer Vicki Wickham (the music series Ready, Steady, Go!) as their new manager and producer in 1970. Wickham remade the group for the '70s, shortening their name to Labelle and pushing them into a more contemporary fusion of R&B and rock; plus, the advent of glam rock suggested a new direction for their stage act, and the trio donned outrageous, space-themed costumes replete with glitter, silver, and/or feathers. Labelle opened for The Who on an American tour and sang backup on singer/songwriter Laura Nyro's acclaimed R&B-themed album Gonna Take a Miracle in 1971. Signing with Warner Brothers, the revamped Labelle made their debut in 1971 with an eponymous album that featured soul treatments of rock and pop material by the likes of Nyro, the Rolling Stones, Kenny Rogers, and Carole King. The follow-up, 1972's Moonshadow, featured the Cat Stevens-penned title track and The Who's "Won't Get Fooled Again," and also included more material written by Nona Hendryx. Neither album was all that commercially successful, and they left Warner to record one album for RCA, 1973's Pressure Cookin', where Hendryx's writing constituted the vast majority of the record. In 1974, Labelle signed with Epic, and the label sent them to New Orleans to record with famed producer Allen Toussaint. The result, Nightbirds, featured the deeply funky single "Lady Marmalade," an ode to a New Orleans prostitute with the indelible French chorus "voulez-vous coucher avec moi ce soir?" ("you want to go to bed with me tonight?"). Penned by Bob Crewe and Kenny Nolan, "Lady Marmalade" shot to number one on both the pop and R&B charts in early 1975, sending Nightbirds into the Top Ten and making it Labelle's first gold album. "Lady Marmalade" proved to be a tough act to follow. Despite four more charting R&B singles over the next two years, nothing duplicated the phenomenon of Labelle's first major hit. 1975's Phoenix and 1976's Chameleon were relative commercial disappointments, even though they featured some of the group's finest vocal performances, plus increasingly ambitious and sophisticated writing by Hendryx. In fact, Hendryx's vision was pulling her away from the rest of Labelle, and by the end of 1976, the group had disbanded to pursue solo careers. Hendryx immediately began recording in a funk-rock hybrid, and in the early '80s drifted into downtown New York's avant-garde scene, where she worked often with Bill Laswell; her solo records were sometimes accessible and frequently challenging. Patti LaBelle, of course, went on to a hugely successful and long-lived career as an R&B hitmaker with adult contemporary appeal, scoring hits like "New Attitude" and the number one Michael McDonald duet "On My Own." As for Sarah Dash, she made several solo albums that failed to attract much attention, but found her way into the Rolling Stones' sphere by the late '80s, working as a backup singer on both solo and group projects. Over 30 years following their breakup, the trio got back together to make 2008's Back to Now for the Verve label. Gamble & Huff, Lenny Kravitz, and Wyclef Jean were just a few of those who were involved in the sessions.